A Quebec superior court judge has sided against the family of Arturo Gatti, allowing his widow to access the late boxer's fortune. Quebec Superior Court Justice Claudine Roy handed down a written version of her judgment Friday afternoon in Montreal. The estimated $3.4 million fortune has been the subject of a nasty legal battle pitting Gatti's widow, Amanda Rodrigues, against his mother and youngest brother. The judge ruled that Gatti's last will, signed in 2009 shortly before his death, is valid. She also ruled that Rodrigues did not control or manipulate him into signing it. The Gatti family, along with the mother of his other child, argued that the boxer was manipulated into signing that will, just weeks before his mysterious death at a Brazilian resort in 2009. That will left everything to Rodrigues. "I am so happy the judge saw my side," Rodrigues to CBC News in an interview from Brazil. "The ruling proves that I did not manipulate my husband in to signing a will." "I won the case, but I don't feel like a winner," she added. "Arturo still isn't here and his son [Junior] does not have a father." The family argued that an older will should have been considered valid instead. That U.S. will from 2007 leaves everything to them, but a signed copy has never been found. 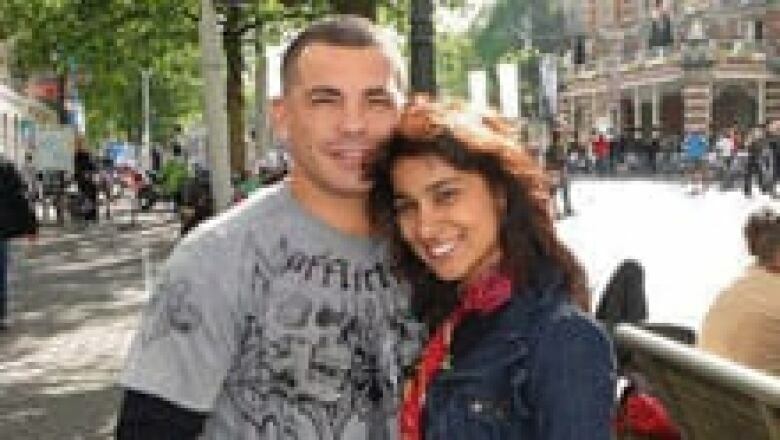 Arturo Gatti with his wife Amanda Rodrigues in 2009. ((CBC))The Gatti family has never accepted that the former champion killed himself; during this recent civil trial, their legal team pummelled Rodrigues with questions about the leadup to his death. Rodrigues was initially arrested in the case, then released without charge by Brazilian authorities. That death was ultimately ruled a suicide by Brazilian authorities and a recently released Quebec coroner's report said there are no obvious signs of foul play. Rodrigues says that while she has won her case in Canada, she still has a legal battle to fight in New Jersey where the mother of Arturo's first child has filed a wrongful death suit. Rodrigues hopes that the Quebec coroner's report will help have New Jersey lawsuit dropped. During the Quebec civil trial, the judge expressed concern that the fortune was being whittled away by all the legal wrangling, including separate cases in the U.S.
Roy wrote in her verdict that the couple may have had their share of fights -- but they were still a couple when Gatti died. Gatti was a popular junior welterweight champion who retired in 2007 with a career record of 40 wins and nine losses.